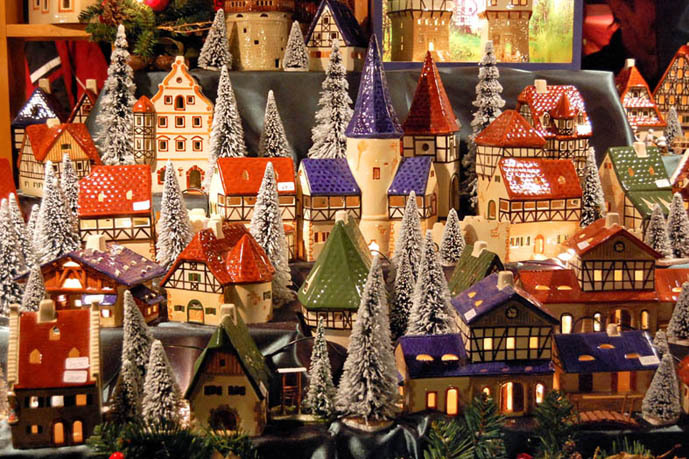 We already talked about Christmas markets in North of Italy, but now it is the right time to check also the ones located in the central and southern Italy! Lot of fairs are waiting for you with their wooden booths full of arts and crafts, regional specialties and Christmas decorations. The items are as diverse as beautiful but nit is the atmosphere that you are probably looking for! Lights and shouting, Father Christmas and sheperds, living nativity scene and presepi are all close to the markets, usually. Let’s start with our Christmas markets second episode to give you a full and round picture of what is the offer in Italy for Christmas time! Umbria is, for example, a yummy place for buying some goodies and presents. Many towns in Umbria are known for a particular craft or product: Deruta and its famous majolica, Montefalco’s jacquard, the foodie mecca of Norcia. And you can find the work of artisans in the Mercatini di Natale, which stands for Christmas markets, and they are ful of Italian and regional specialities and artisan workshops. Perugia’s Rocca Paolina is the location for this kind of Christmas event and Spoleto hosts them in Palazzo Leti Sansi. In Rome Piazza Navona hosts a very big Christmas market. There is a life-size nativity scene set up in the piazza. Going South, you have to visit Naples and its December Christmas market near Via San Gregorio Armeno, which is pretty famous for its many nativity workshops. Some vendors are all dressed up in a traditional shepherd costume!!! You can also visit Sorrento located on the beautiful Amalfi peninsula in the Bay of Naples: in the main square the Christmas market through January 6. 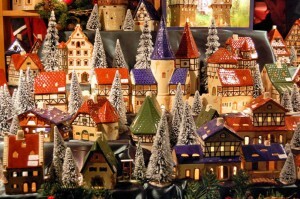 Siracusa in Sicily holds a two-week Christmas Fair. Also in Cagliari located in lovely Sardinia you can find a Christmas Fair that stays on for two weeks in December: you can buy a lot of traditional crafts, food, and wine over there. This entry was posted on Monday, December 19th, 2011 at 8:13 pm	and is filed under Events in Italy. You can follow any responses to this entry through the RSS 2.0 feed. You can leave a response, or trackback from your own site.